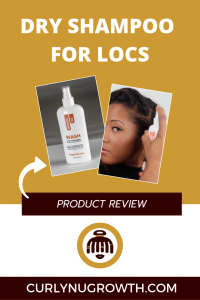 If you’ve ever had an extremely itchy scalp or felt the need to shampoo your locs but didn’t have enough time to do so, this is a product line created with you in mind! In this product review I am going to be taking an in-depth look at a few items in the Noggin Oil product line, including the “Chill” Soothing Oil and the “Wash” Dry Shampoo. The “Chill” Soothing Oil provides instant relief for itchy scalp and the “Wash” Dry Shampoo cleanses and removes buildup at the roots within minutes! Full disclosure, I did purchase these products with my own money because I love the work of the one of the co-founders, Karen of @Modlocks; which means the opinions expressed are my own. But as an added bonus for you, and because she’s super dope, I reached out to her and she graciously created an affiliate coupon code for you, which I’ll share at the end of the post. I can personally attest to the “Wash” Dry Shampoo working exceptionally well for removing buildup and dandruff from the roots of my locs. So, I was definitely not surprised when the “Wash” Dry Shampoo was rated as one of the best “showerless cleansers”. 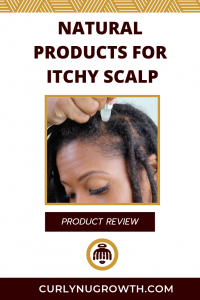 On the Noggin Oil website it states that this product has been “formulated to lift away impurities, sebum, dirt, perspiration and pollution from the scalp”. Typically I shampoo my locs weekly but occasionally being a mompreneur(mom & entrepreneur) gets the best of me and it’ll be 2-3 weeks since my last shampoo. During those times, like most people waiting multiple weeks between a shampoo, my scalp has flakes and the repeated use of product is visible at my roots. I found that spraying my roots with the “Wash” Dry Shampoo would instantly remove the dandruff and flakes from my roots. No rubbing required! This “showerless cleanser” would even allow me to go another week without shampooing my hair if I needed that extra time. Pre-Cleanse. Before shampooing the hair, spray the roots with the “Wash” Dry Shampoo and allow it to sit for 5-10 minutes. 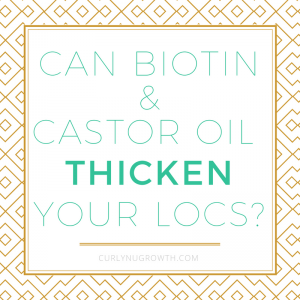 This will help to remove any buildup and impurities from the roots. After Workout Cleanse. Some of us sweat excessively in our scalp while working out and this product helps to remove the excess sweat and odor from the roots. 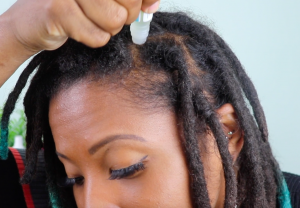 Starter Locs Cleanse. 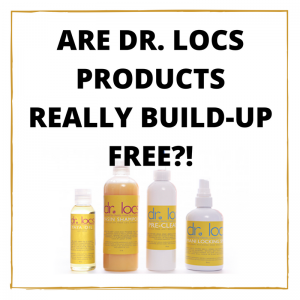 When you first start locs it can be nerve-wrecking to do the first shampoo, but you know you need to clean your scalp. As an temporary alternative, you can use the “Wash” Dry Shampoo to cleanse your scalp until you’re ready to do a full shampoo. The other product that I tried was the “Chill” Soothing Oil which is amazing for soothing itchy scalp! Aside from the fact that the soothing oil really works what I loved most is the packaging! The “Chill” Soothing Oil comes in a roll-on application bottle which delivers the right about of oil to relieve the itching without making the scalp too oily. You can see exactly how I applied the Noggin Oil “Wash” Dry Shampoo and “Chill” Soothing Oil in my latest YouTube video – “Natural Products for Itchy Scalp”. And as promised, use code “CURLYNUGROWTH” for a special discount at checkout on the Noggin Oil website! Do you think you would give the Noggin Oil products a try? 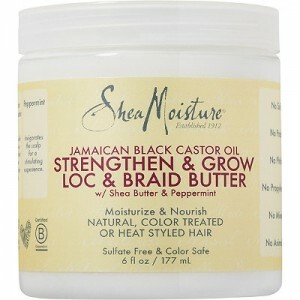 Shea Moisture Adds a Product Specifically For Locs— Good or Bad?